Last year’s runners-up Rising Student beat Eastern Sporting Union, 5-4 in a penalty shootout. The second edition of the Indian Women’s League witnessed new champions as Rising Student Club of Odisha defeated the winners of edition one, Eastern Sporting Union of Manipur 5-4 on penalties, in a repeat of last year’s final. The match ended 1-1 in regulation time, after Roja Devi’s first-half strike was cancelled out by Sanju’s penalty as extra-time ensued. It was also a battle of two women head coaches as Sukla Datta took on Arjuna awardee Bembem Devi, a winner as a player last season. Prameswori Devi tried to break the deadlock early, as she created havoc on the flank. Roja Devi then opened ESU’s account as she crashed a shot in from the edge of the box. Supriya Routray almost clawed an equaliser back for RSC on the stroke of half-time, as her shot went inches wide of her post. The Odisha-based club then earned a penalty in the 70th minute and it was Sanju who stepped up to take the spot-kick. The Haryana attacker then dispatched her penalty emphatically as she drew her side level. The second half ended with no one managing to break the deadlock. Mandakini Devi’s free-kick was saved by the opposition keeper as ESU couldn’t find a break-through in extra time. Nine penalties from each side ensued, as both keepers saved a lot of shots. 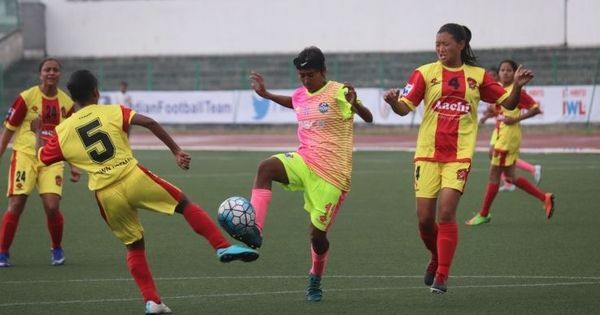 Finally, Ranjibala Devi’s shot was saved by Tikina Samal but RSC captain Suprava Samal made no mistake as she scored from the spot to give her team the title. Dangmei Grace of Kryphsa won the emerging player of the tournament. ESU’s Panthoi Chanu and Prameshwori Devi won the best keeper and the Most Valuable Player of the Year. 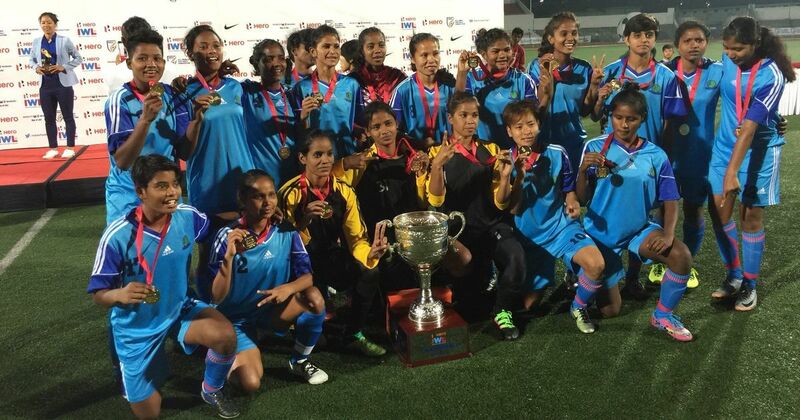 Kryphsa’s captain Bala Devi finished as the highest goal-scorer of the tournament.